If Madison could do anything in her free time, it would be baking or anything she can do with her hands creatively! Madison loves art and books as well, especially mystery books! Madison says one thing that everyone should do at least once in their lifetime would be to write a book. She wants to be a writer when she grows up. If Madison had a superpower, it would be to time travel! How cool would that be? Madison’s ideal family would have siblings and a dog! Preferably a Dalmatian or a Pitbull. She would also like them to have a taste for Indian food too! 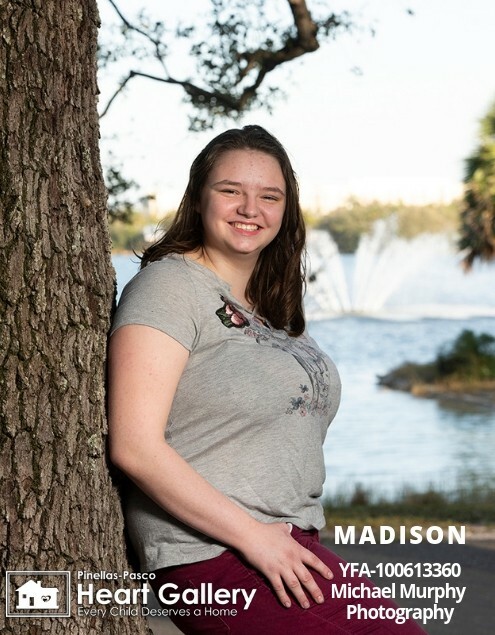 Madison needs a family who is creative and fun! Could that be you?